I’ve heard a few less than kind statements made about lamb from lamb haters over the years. Many of them say that lamb is “too gamey.” I’m the first to state that when lamb isn’t fresh or prepared properly, it can have a less than desirable taste. However, fresh lamb, prepared the right way, should taste really good and without too much gamey-ness. A few years ago, I had a cookout on the 4th of July and I prepared a lot of goodies including lamb shish kabob (the marinade below goes great for shish kabob as well, just FYI). Some of my friends expressed that they simply didn’t like lamb, but after tasting the lamb marinated with the recipe below, they reluctantly admitted (of their own accord because I didn’t ask!) that they didn’t notice the usual gamey flavor they came to associate with the lamb. Personally, I think it has to do with the onion and lime used. The onion infuses the lamb with a complementary flavor, but doesn’t overpower it. 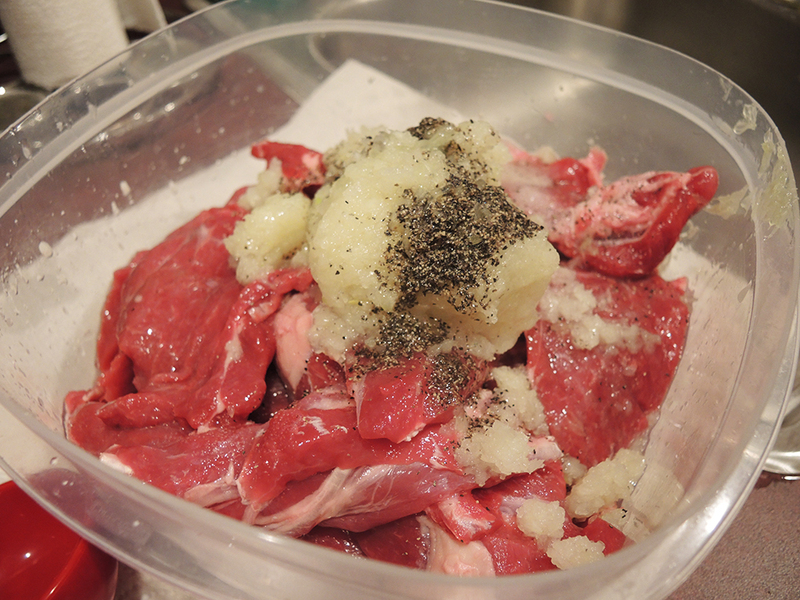 The lime acts like a tenderizer for the meat by breaking down some of the more fibrous tissues. At the same time, while some friends who don’t prefer lamb, enjoyed this preparation, I also had friends who are lamb-lovers tell me that they were concerned the marinade would ruin the lamb flavor they enjoy so much. I put their fears to rest though because this marinade doesn’t take away from the lamb flavor at all, but simply highlights it with additional flavors to bring out the best qualities off the lamb. Whether you love lamb or are looking to give it a second chance, I highly recommend trying out this marinade. Try it out with any cut of lamb! Raw lamb with Marinade Calories = 2787 per two pounds (please remember that because not all of the marinade gets absorbed and fat does cook off as well, that the calories per piece may/should be slightly lower than listed here). Optional: For variety and a more common approach, add a teaspoon of dried rosemary to the marinade. I don’t do this, but I’ve had it, and the flavors work pretty well. 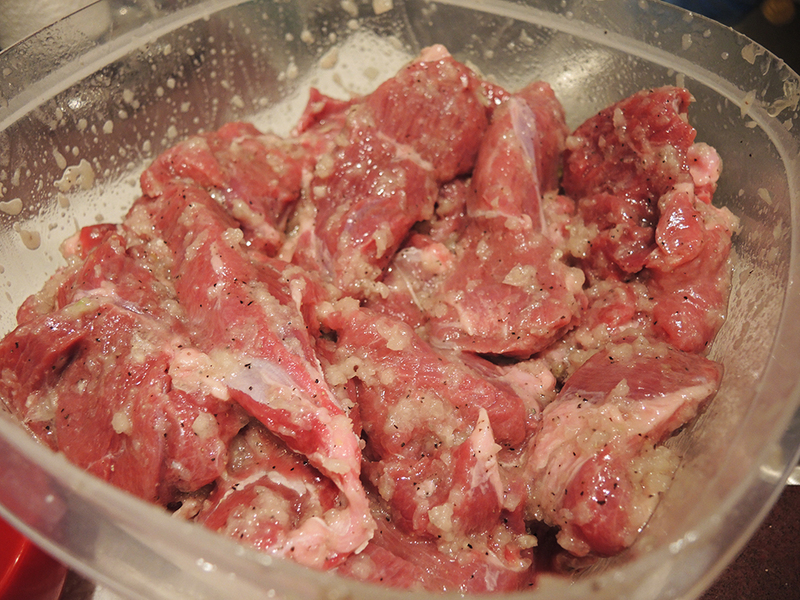 Place the lamb in a large bowl or large tupperware container (a large ziploc bag will do in a pinch though). Puree a couple of onions using a food processor. If you don’t have a food processor, just finely chop the onion and make sure to brush the larger pieces off before you grill or they will burn and cling to the lamb. 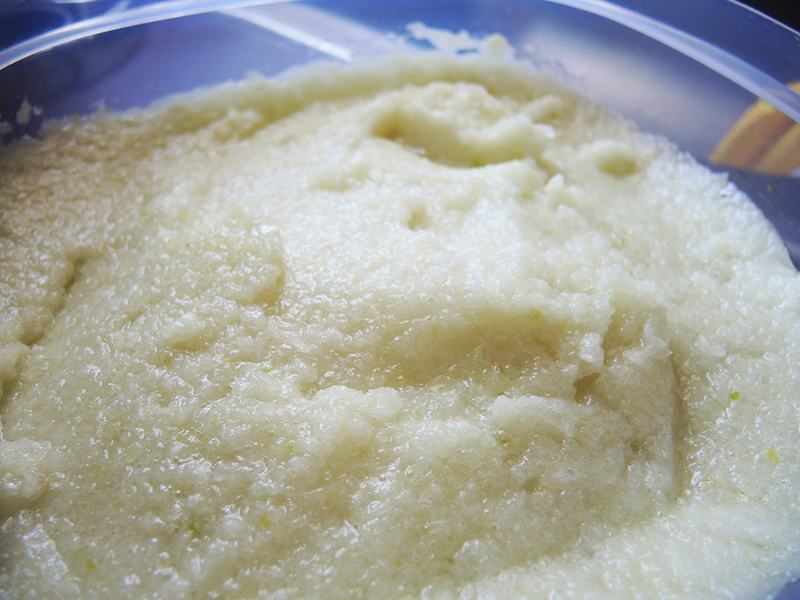 Make extra onion puree and freeze it for later use in other recipes if you like as well! Add the onion, salt, pepper, oil, and lime to the lamb. Mix the ingredients together with your hands. Don’t be afraid to get extra classy like my mom and wear latex gloves to protect your hands, but nothing to protect your jangly gold bracelets. Let them jingle and tinkle freely with every toss of the lamb. Cover the bowl with saran wrap, cover the tupperware with a lid, or close up the ziploc bag and let the marinated lamb sit for 1 – 2 hours at room temperature. You can also let the lamb marinate in the fridge for 2 – 4 hours, but be sure to let the lamb sit out of the fridge for an hour so that it gets to room temp before grilling. The lamb with marinade can also easily stay overnight in the fridge for next day cooking. When you are ready to grill, set the heat to medium-high. Enough to get a good sizzle when the meat hits the grill, but not so much that it burns all of the onion sugars in a few minutes. 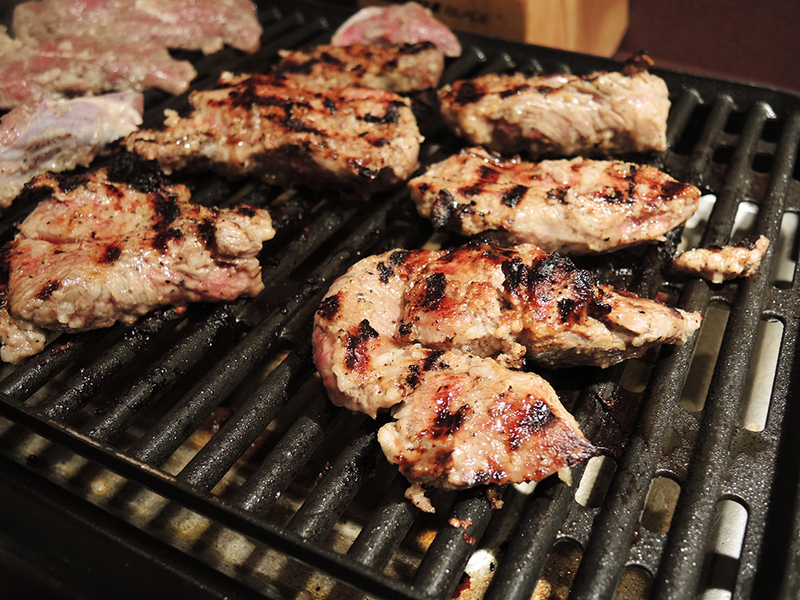 Depending on your grill, cook each piece of lamb for 5-8 minutes per side. Longer if you have thick cuts or want it cooked more than medium. My mother for example, likes her lamb well done, so I’m already eating while her lamb is still on it’s first pre-flipped side. Note: The grill pictured below is an indoor electric grill. Please don’t take that as my endorsement for non-outdoor grilling. It was too cold to grill outside when we prepared this meal! Nonetheless, for best quality, try a lump wood-charcoal grill for added Middle Eastern flavor. I like that. Here in Ireland, there are very few who don’t like lamb. I believe that we have some of the best lamb in the world. Some that graze on herb rich pastures and others that live beside the Atlantic and eat salt flavoured grass. both end up with really distinctive flavours from their environment. You gotta love lamb. You are correct. These flavors are good for both people who love lamb and for those that do not like it. Everything in moderation, but I agree, red meat is wonderful! I would be very interested to see similar recipes from India! I’m so glad we can share our recipes from across the world.